As globalisation continues apace, opportunities are arising for practitioners in trust jurisdictions that did not exist a few years ago. Growth continues in the traditional trust jurisdictions, especially in civil law jurisdictions where trusts and foundations have previously been used in a limited capacity. In parallel, the concept of the foundation has been adopted by several common law jurisdictions that, until recently, have relied exclusively on trusts – notably Jersey and Gibraltar. 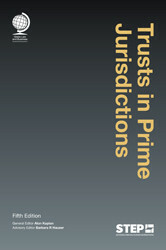 The fifth edition of 'Trusts in Prime Jurisdictions' has been fully updated and features a number of new chapters on topics including trust and real estate trust in Israel, what it means to be a fiduciary family office, the role of the trust protector, Islamic (Waqf) trusts, and trusts in relation to divorce. 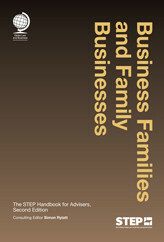 In addition, new for this edition are chapters on Germany and Bermuda. Produced in association with STEP, this edition provides a solid grounding in the use of trusts in a wide range of important jurisdictions and contexts. It also examines related topics such as trust taxation, anti-money laundering laws, the OECD initiative, CRS, exchange of information, transparency of registers and the notion that countries are entitled to collect taxes beyond their borders, among others. Written by leading professionals and recognised academics, many of whom are STEP members, the fifth edition of 'Trusts in Prime Jurisdictions' will be an essential resource for all lawyers, trust practitioners and banking professionals working in the field.